In regards to the post about a tire issue. 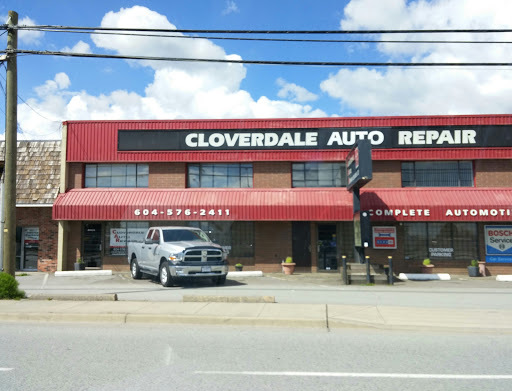 I represent Cloverdale Auto Repair. I dont know who this person is as they are not a customer so I could only assume that this would be a secondary account of the events. I do remember helping a female customer came in needing a tire repairs. We brought the vehicle into the shop to inspect the tire and found a cut in the inner side wall of the tire with a pin hole leak that was un- repairable. We tried matching the tire but couldnt find one other than at the local dealer. The customers friend was on their cellular phone to a different dealer and got a different price. We discussed her options and chose to install her spare tire to get her on the road. There was no charge for the tire change over. Went in with a slow tire leak. Like 3 days to go flat from a fill. Initially told us they couldnt find any hole and would have to look further, then brought out the tire with a giant gash in it that you could see through claiming we would need a new tire. If it was really like that we wouldnt have ever been able to fill the tire in the first place. When asking for a replacement we were told the local dealer had a take off one for 179, I called myself and the dealer said it was 122. Needless to say after having the tire suddenly have a giant gash in it and they staff lying to us about how much the dealer was going to charge for a tire, we left and wont ever go back to this place. Been taking my car there for years. Now taking my rv. Friendly, good service, fair prices. Always willing to discuss the repairs and help you understand. I need to know if this tire issue was in fact true before I take my car there for major repair issue.